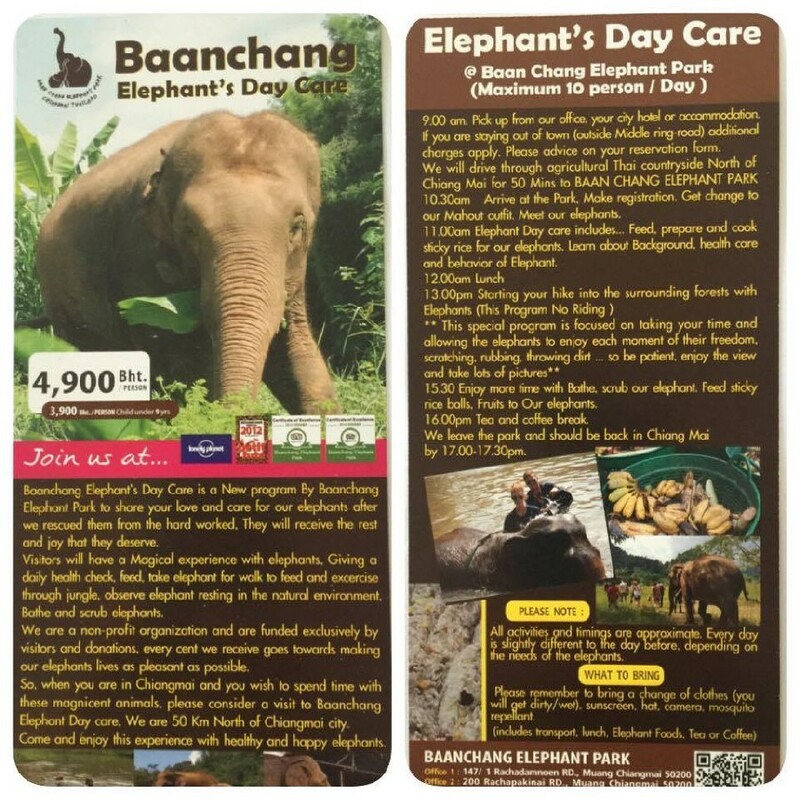 New Program : Baanchang Elephant's Day Care | Elephant Sanctuary Park in Chiang Mai (Thailand). Baanchang Elephant Day Care is a New program By Baanchang Elephant Park to share your love and care for our elephants after we rescued them from the hard worked, They will receive the rest and joy that they deserve. Visitors will have a Magical experience with elephants, Giving a daily health check, feed, take elephant for walk to feed and excercise through jungle, observe elephant resting in the natural environment, Bathe and scrub elephants.